What the Heck Are Contrast Baths? One of the most effective strategies to relieve arthritis pain and stiffness in the hands is the use of contrast baths. What are contrast baths? It is the alternating use of warm and cool water, which is easy and essentially free! To the naysayers, I would tell you that my clients are almost unanimous in their endorsement of this technique to relieve arthritis pain. Most people with arthritis use a long, warm shower upon rising in the morning to help them get moving for the day. In principle, contrast baths are just a slight modification. The only clients who don’t swear by contrast baths are those who haven't tried them! 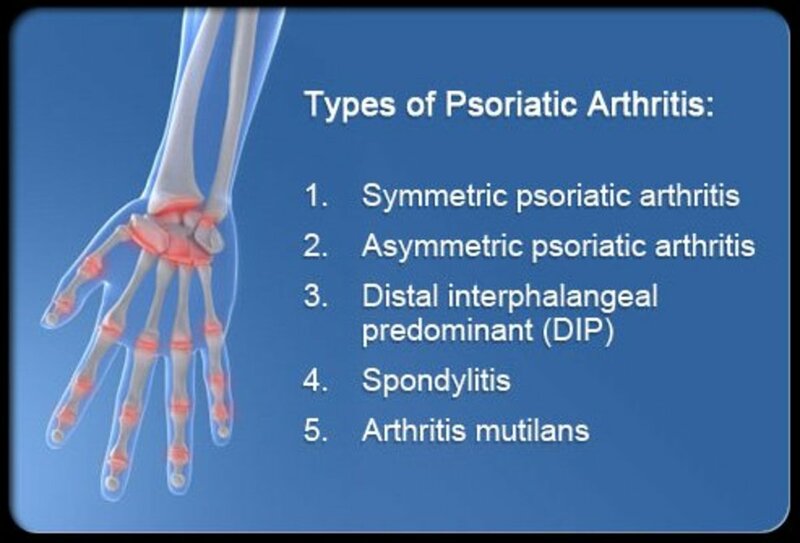 How Bad is Your Arthritis in Your Hands? 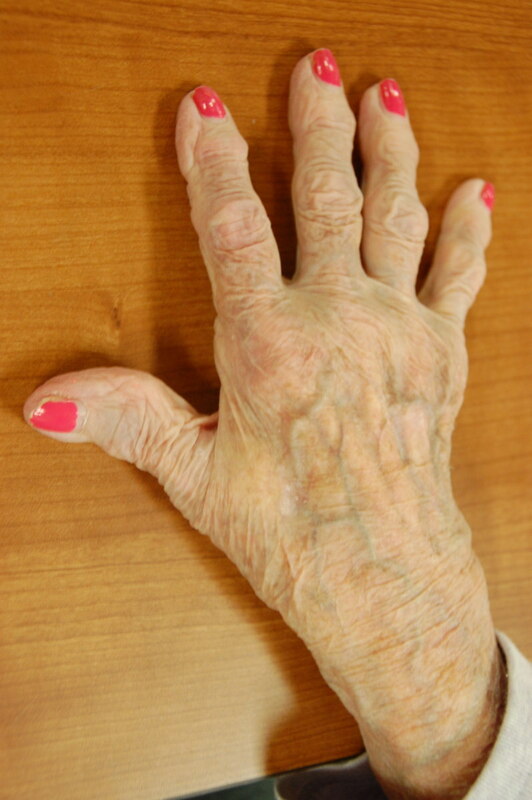 Arthritic hand. Photo by my brother. Vernatopia.com. How Can Contrast Baths Help My Arthritis Pain? Contrast baths decrease swelling, stiffness and pain, and increase movement and circulation. This is the only “heat modality” you can safely assume will not cause swelling, and in fact it is a proven method for decreasing swelling. Warm water dilates, i.e., expands or opens up, the blood vessels, thereby increasing blood flow. Cold water constricts blood vessels, or makes them smaller. The alternating warm and cold water acts as a pump to get fluid out. Warm water alone may cause swelling. Contrast baths are great for swelling, pain and/or stiffness associated with arthritis. Virtually all of my clients with arthritis in the fingers, hands and/or wrists do contrast baths faithfully first thing in the morning and again at the end of day. I have physical therapy colleagues who recommend contrast baths for arthritic foot pain and stiffness. Contrast baths are a great option when your therapist or doctor recommends ice for inflammation but your arthritis does not like the cold! Use contrast baths as an acceptable alternative to ice for inflammatory conditions such as tendinitis or Carpal Tunnel Syndrome. Contrast baths work great for hand swelling and carpal tunnel syndrome with pregnancy. 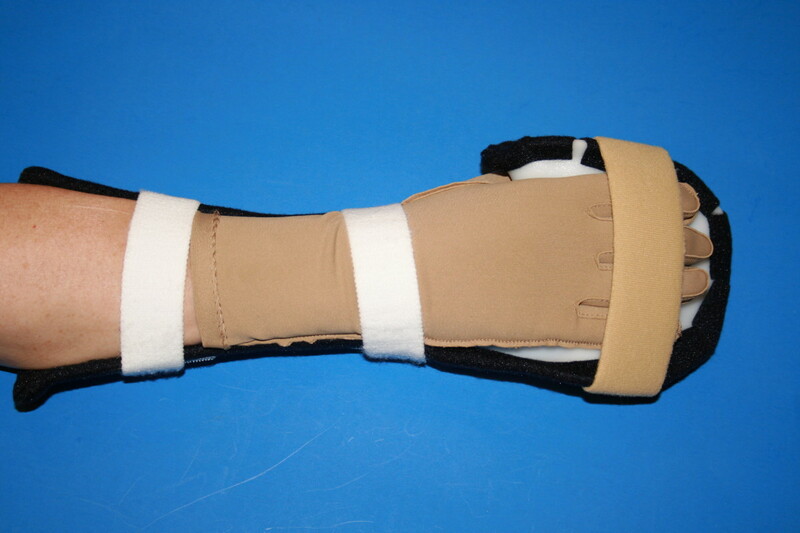 They dramatically reduce swelling for clients with injuries such as wrist or hand fractures. Two plastic basins or two sinks. Warm water should be 100-105°F, or to tolerance. Cold water should be 50-60°F, or to tolerance. An aquarium thermometer can be used to monitor the water temperature, but common sense works, too. 1. Fill one plastic basin or sink with warm water. 2. Fill second basin or sink with cold water. 3. Place hands and wrists in warm water for 3 minutes. Open and close the hand or gently squeeze a sponge or washcloth if desired. 4. Alternate to cold water for one minute. 5. Return back to warm water for 3 minutes. 6. Repeat the process for a total of 3 rotations of warm and cold. 7. End with 3 minutes in warm water. Perform contrast bath treatments 2 to 5 times a day as needed. Performing 30 to 60 second cycles for 2 to 5 minutes between full sessions can be helpful. Water temperatures should be moderate. See temperature ranges above, but use common sense. Warm water should be like pleasantly warm bathwater. Cold water may need a few ice cubes if it’s summer and you live in Texas. If you live in Maine, in the winter you may have to add some warm water to your “cold. Water temperature should not be ice cold. Contrast baths are not suitable for clients with open wounds, Raynaud’s or congestive heart failure. 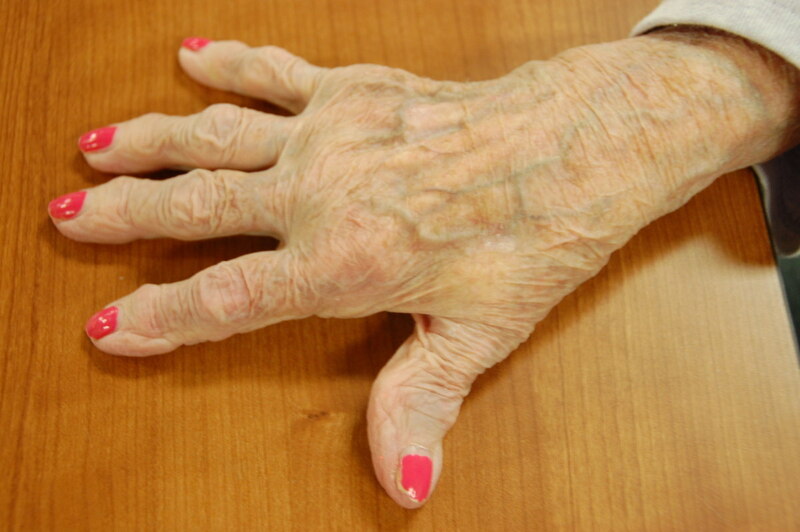 Clients with Raynaud’s phenomenon are sensitive to extremes of temperature, especially cold. I have had some Raynaud’s clients do contrast baths with slightly cool water, and mildly warm. Basically, their contrast baths were a little less contrasty! Clients with Raynaud’s, especially if newly diagnosed, should discuss with their doctor or therapist. Clients with congestive heart failure should consult their physician for clearance. This is especially true with using this modality for the feet. As contrast baths are extremely effective at reducing swelling, this can overload the heart. These strategies are wildly popular with my clients! Bathing and kitchen clean-up variations are used almost universally by my clients. There are many variations of contrast baths in the literature, such as 1 minute warm and cold water cycles. Exact time is not critical, just start and end with warm water. Most clients with arthritis prefer the longer 3 minute warm water cycles. The point is, you don’t have to carefully watch the clock. Use your bathtub or Jacuzzi for warm cycles, then have a basin with cold water outside of the tub. Or after a long warm shower, put hands under alternating warm and cold water at the bathroom sink for 3 to 5 minutes when you get out of the shower. Yet another way to incorporate the principle of contrast baths into your routine is during morning grooming and hygiene. While you are at the sink brushing your teeth, combing your hair, putting on makeup, or shaving, alternate hands under warm and cold water. You can run cold water and have a small pan of warm water on the counter or vice versa. Incorporate the principle of contrast baths into your dishwashing or kitchen clean-up routine. Even if you prefer to wash and rinse your dishes in warm water, you can have a small bowl of cold water nearby. Try alternating warm and cool packs or compresses. This may be less messy and more convenient at work. You could take in a cold pack each day in a small soft-sider cooler. Specific tips and recommendations will be in a forthcoming hub! If you are sensitive to cold water, try starting with less contrast. 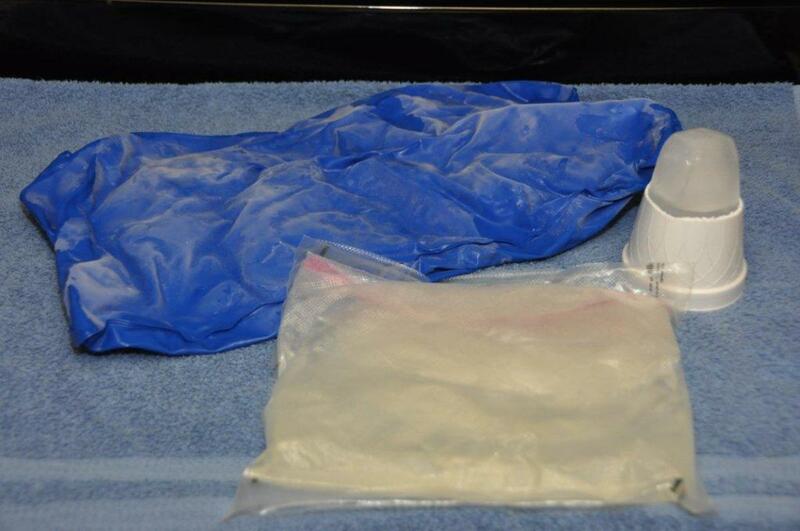 Use warm water and tepid or cool water, or warm and cool packs. Abbreviated sessions are good for when you’re at work, shopping, traveling, or otherwise away from home. Even at home, they are good to keep pain and stiffness at bay if you only have time to do two full sessions a day. If you have relatively private restroom facilities or a kitchen at work, use two adjacent sinks or one sink and a plastic basin for a quick session. Even 30-60 second cycles for 5 minutes can be helpful. In a pinch, use one sink and alternate the warm and cold water, 30 to 60 second cycles, for 1 to 3 minutes. You can do this in a rest area or fast food restaurant restroom. People with arthritis in their hands can benefit greatly from the use of contrast baths. By using alternating warm and cool water, especially upon waking up in the morning and at the end of day, hand pain and joint stiffness can be significantly reduced. With a little practice, routine daily activities can be modified for these valuable thermal sessions. My favorite overall resource for adaptive equipment and devices for arthritis. This is my favorite arthritis self-help book. It has illustrations of adaptive devices and strategies, as well as stretching and strengthening exercises. It has an excellent chapter on self management strategies for pain. Wealth of information, including local chapters throughout the U.S. and beyond. Everything! What else do you know?! Nothing else. You can stop now. Good luck timetraveler. I'd do the contrast baths 3-5 times a day, and get some gloves for sleeping. Do these things right away because they are affordable. The splints cost a bit more. You could also talk to your MD about an OT referral for custom splints that maybe your insurance would cover. I have already looked at the Hand Splint article but want to take a closer look at it when I have more time. Already tried one contrast bath tonight and it seems to have helped. Bless you! Thanks for visiting fosamaxblogger. And thanks for sharing the pitfalls of drugs like Fosamax. This is a very helpful article. Thanks a lot. 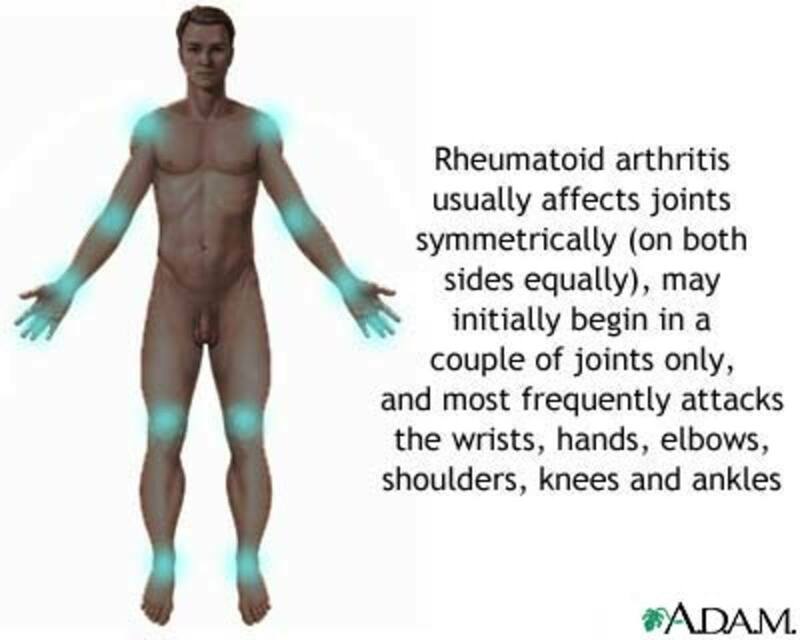 I already have my arthritis since I was 5 and every time I eat fatty foods I experience knee joints pain and difficulty in walking. I liked very much how you explained in detail the how-to's of contrast bathing. I think you are right in saying to moderate the temperature and guide people away from the extremes. I also like that this is something that people can do for themselves and not have to run to the Doctor or PT for. 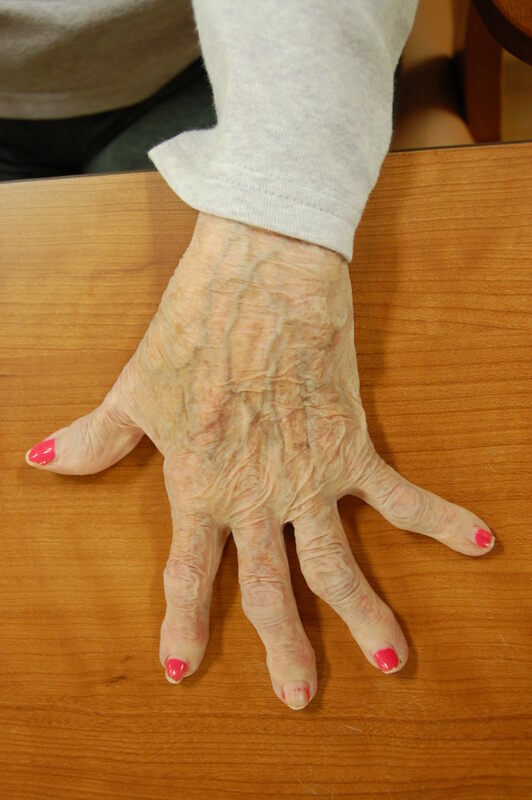 In my practice I treat a lot of arthritis and don't usually have the time to do contrast bathing. It was a good reminder to me to let patients know that they can do this for themselves. Yes habee,contrast baths are highly recommended in the literature for CTS. Of course, in my experience, I find that CTS is not usually as it seems. Although CTS is compression of the median nerve at the wrist, I "cure" most everything with a comprehensive program heavy on posture and ergo. See my ergo hub, especially about getting your shoulders back and modifying sleep positions. Thumbs up on another great hub! Would be this be beneficial for CTS? Robert, Thanks for your support of my articles. Per our email conversations, sorry the 'whole body' contrast showers did not work for you. Raynaud's reactions to cold are usually seen in the fingers or toes. Your more dramatic response to cold sounds like some kind of vasovagal response. Your self management according to knowing how much is too much, whether at home doing simple self care or planning excursions for appointments is simple but crucial. Many people can't listen to their body that way. Yes, I have worked with clients who struggled with the very basics of personal care. Usually patients debilitated after long term hospitalization, clients with cardiac or pulmonary problems etc. This sounds doable! What is Raynaud's phenomenon? I have always been very sensitive to cold -- all my life and it's gotten more extreme over the years, but even as a little kid I could not take cold. That's something I presumed had to do with the arthritis, I just know it about myself. Once on a very hot day in New Orleans at a pool party, even though someone said "the pool is cold" I ran up to the pool and jumped in. I was a little buzzed and people were having a lot of fun, I figured it was a pool, it couldn't be that bad. I found out fast. I couldn't breathe. I started to sink. I choked and could not breathe, got dizzy and sick, pain flooded me and the cold just about paralyzed me. A friend jumped in and pulled me out, just the touch of his warm body on my back was incredible since he came up behind me and his chest was right on my messed up arthritic spine. I got out of the pool with his help, I wasn't even strong enough for the ladder without his helping me. I went over to the hot tub and got in, which relieved it. That was the wake-up call -- do not take cold showers or use cold pools or do temperature shock at all. I had sometimes had that effect from cold showers but in a shower you can change the setting right at the moment or step out easier, the pool was when I couldn't just deal with it immediately because I jumped in the deep end. I knew I could swim, it didn't seem dangerous. It wasn't even that big a pool. Thank you, thank you, thank you for mentioning "cold is to tolerance." I know what my tolerance is. If I start with warm, comfortably warm, and just change the shower setting till it's cool and cycle that while doing my shower, I will be able to find out if this helps. If it really helps, I may even get to where I could manage it daily without winding up crashing my body. I'm dubious about trying to do it twice a day because on the whole, I don't manage to do much of anything else on bath days. I've got too many different disabilities all hampering me and being on my feet that much more than once could be a problem on my knee, hip and ankle. I don't actually stand at the sink to brush my teeth, because I can't. All my life that's been a problem. Your articles seem geared to people with less severe mobility problems. Have you ever worked with people who didn't have a full deck of activities of daily living, who couldn't manage daily bathing or brushing teeth or washing dishes? I'll try this because it doesn't need my going out, doesn't cost me more energy and activity than I can spare for it. One of the things I've feared about any form of physical therapy is just that the process of getting to it would grind me down to where I'd lose what activity and mobility I have. It's not a groundless fear, that's happened in the past from having appointments too close to each other without enough days of rest in between. A warm shower does relieve my back a bit, sometimes a bit more than a bath because getting in and out of the tub strains my back. 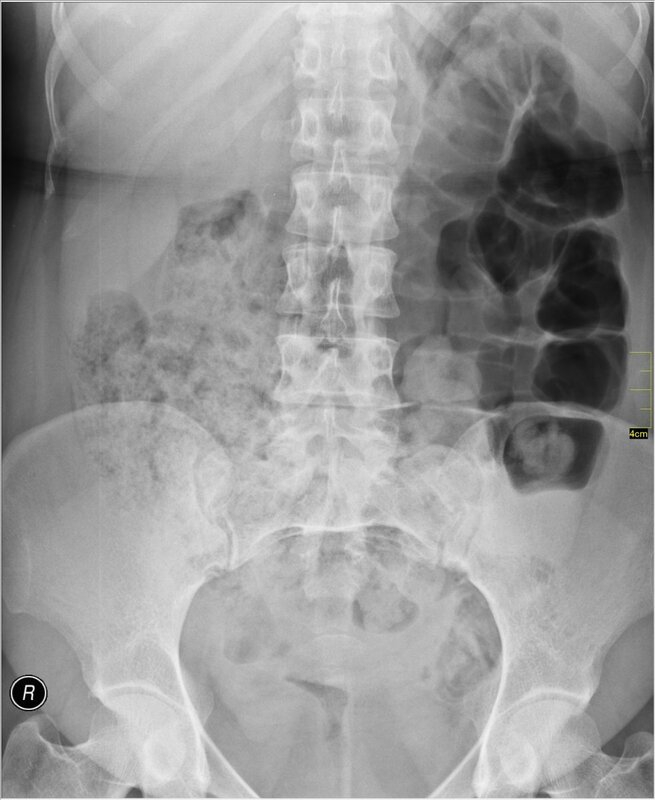 It depends on whether my back or my hip is giving me more trouble which I do. If this contrast bathing thing really works then that may tip the balance in favor of showers because I would love it if I could manage a daily shower and have that come out as a net improvement instead of a building activity deficit.